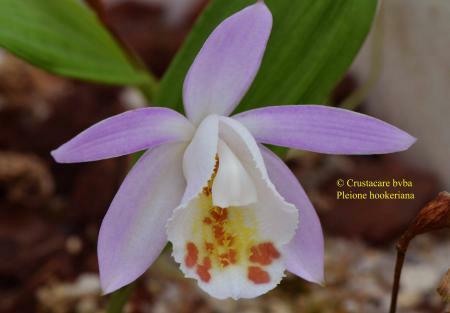 Albiflora.be - hookeriana - Albiflora is a division of Crustacare, specialised in orchids. Close relative of Pleione Chunii. Only species that has stolons. Grows in high Himalayas, in cool envirement. So for successful cultivation, keep them in cool air in summer.